synopsis (EN) Would you like to buy a vowel? Spin the wheel, fill in the missing letters, and solve the puzzle in this chance to be a constestant on one of the most popular game shows in TV history. Join your hosts Pat Sajak and Vanna White as you spin the Wheel of Fortune. 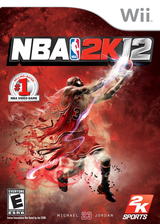 Solve over 8,000 puzzles as you try and take home big money against virtual opponents or up to three friends. You'll feel like you're on the show as you spin the wheel with your Wii Remote and choose your letter with Wii Speak. Play mini-games during commercials, and test your knowledge with trivia questions about the show. synopsis (ES) ¡Conviértete en un concursante del show favorito de los americanos desde tu propia casa! 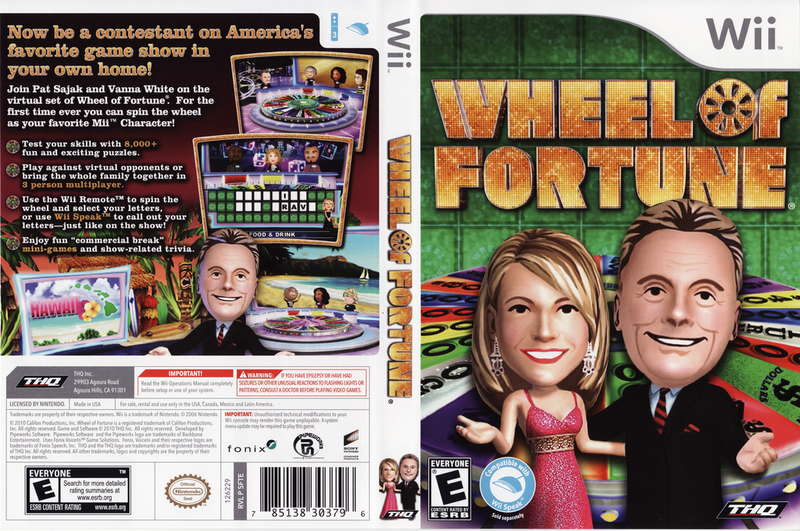 Únete a Pat Sajak y Vanna White en el plató virtual de Wheel of Fortune. ¡Por primera vez podrás hacer girar la rueda de la fortuna utilizando a tu Mii favorito!